In rich or swampy to dry forests and borders, but most often noticed on dry sandy open forests with red maple, aspen, oaks, and/or jack pine. Where this species grows with A. laevis, intermediates can be expected. These presumed hybrids are much more recognizable at flowering time, when the parent species are ordinarily quite distinct. 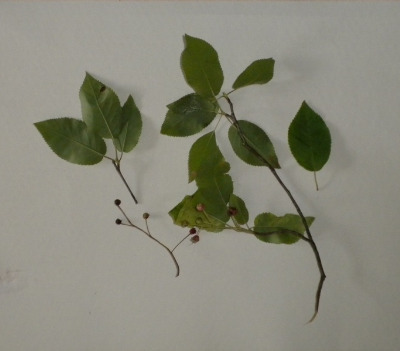 The intermediates generally combine ± tomentose leaves (as in A. arborea) with red flush and a sometimes more open condition (as in A. laevis), or the leaves may be closely folded at anthesis, but red and glabrous. Hybrids of either of these two species, our only ones with glabrous summits on the ovaries, with the several species having tomentose ovaries are not easy to assign to parentage. MICHIGAN FLORA ONLINE. A. A. Reznicek, E. G. Voss, & B. S. Walters. February 2011. University of Michigan. Web. 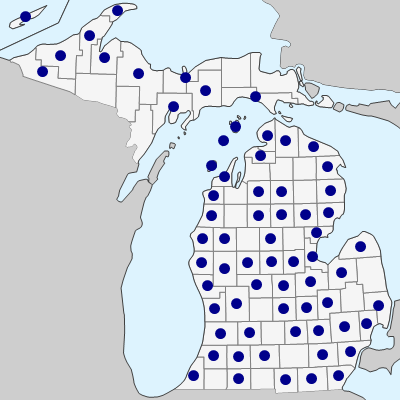 April 19, 2019. https://michiganflora.net/species.aspx?id=2421.